Residents reported feeling a shake from Ventura County to the San Fernando Valley and all the way to Orange and Riverside Counties around 7:30 p.m.
People said they felt the jolt in Beverly Hills, Glendale, Inglewood, the San Gabriel Valley, parts of the San Fernando Valley, West Covina, Fontana, Ontario, Montclair, and Irvine. 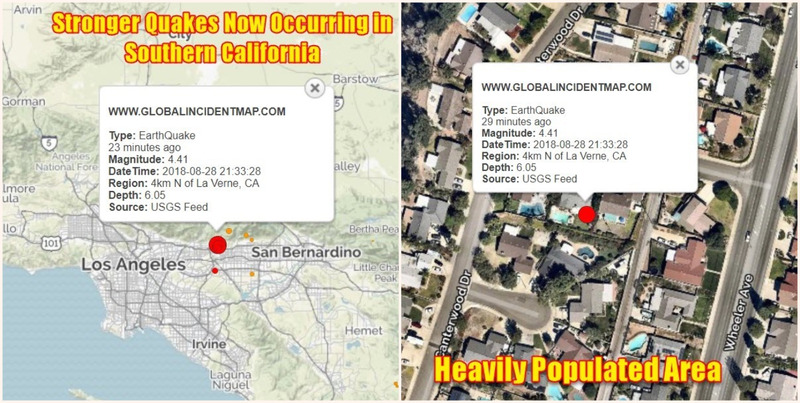 Caltech reported that people near the epicenter said the quake felt like a violent shake. The depth of the quake was about 3.7 miles. A 3.4-magnitude aftershock was also reported by the U.S. Geological Survey a few moments after the first quake in the same area.